Researchers found a groove in the brain that connects to the impulse with habits, which could explain why individual is difficult to control the cocaine addicted, according to a study published by University of Cambridge on Tuesday, January 12, 2016. The previous studies indicate that chronic exposure to drugs change the brain's prefrontal cortex, but also to change one area of ​​the brain called the basolateral amygdala, which is associated with the link between the stimulus and the emotions. Basolateral amygdala keep the pleasant memories related to cocaine, but the prefrontal cortex manipulate this information, helping individuals consider whether to use it or not: if addicted individuals to using it, it activates mechanisms in the dorsal striatum, which plays an important role in habitual behavior. 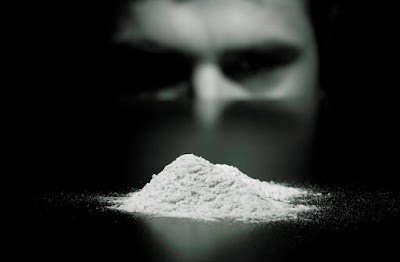 However, by studying the brains of mice are addicted to cocaine through self drugs delivery, the researchers identified the way in the brain that indirectly connects the basolateral amygdala with the dorsolateral striatum, avoiding the prefrontal cortex. This means that addicted individuals will not be aware their desire to use the drug, the researchers said. "We always assume that addiction occurs due to failure of the control ourselves, but now we know that's not the problem," said Dr. David Belin of the University of Cambridge, who wrote the study results. "Drug addiction is seen primarily as a psychiatric disorder, with handling such as cognitive behavioral therapy that focuses on the recovery of the ability of the prefrontal cortex to control otherwise maladaptive drug use," he said. "But we showed that the prefrontal cortex is not always aware of what happened, making such treatments are not always effective," says Belin. In a study published in the journal Biological Psychiatry, Dr. Belin and colleagues showed that the use of drugs to overcome an overdose of paracetamol may help individuals with addiction to cocaine overcome their addiction, giving the desire for individuals to stop.